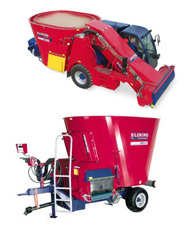 Our company produces innovative machines for forage harvesting as mowers. conditioners, tedders and rakes. 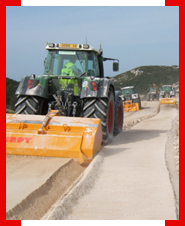 Kirpy sells soil-conditioning tools and trator attachments to handle all stone problems and harvesting solutions. Tractor attachments such as front loader, bulldozer blades. backhoes, PC loaders & implements. Leading Dutch company of machines and systems for feeding dairy and beef at modern, professional farms. We are the manufacturer of Giant wheelloaders, telehandlers and tractor attachments. We specialise in feed delivery, mixing and storage technology in all areas for cattle and for loading biogas installations. We offer solutions for soild cultivation, tillage, seeder and grass czltivation as cultivators, disc harrows, disc drills and tine drills. one of the leading manufacturers for pneumatic seeders, pneumatic drill machines and implenents. The Zagroda Company is a Polish leading dealer and producer of agriculture machinery.